The first dose of azithromycin that I took for a gingival abscess. Antibiotics cause major disruption to the healthy bacteria that live in and on our bodies. Common side effects of taking antibiotics include gastrointestinal problems like bloating, nausea, vomiting, diarrhea, cramping, and flatulence. For women, antibiotics can disrupt the vaginal flora and lead to yeast infections. There has been so much new information in the last decade regarding just how damaging antibiotics can be to our overall health and vitality and we are starting to see more doctors and patients using them responsibly. My backstory involves seeing a pediatrician from birth until I went to college who always put me on at least one type of antibiotic for every type of respiratory illness I caught. I took more than 100 rounds of antibiotics before I left home and my health suffered tremendously because of that. Then, in the midst of my health crash in my mid-20s when I was diagnosed with hidradenitis suppurativa (HS), a dermatologist prescribed chronic antibiotics, instructing me to take them until I got a yeast infection, pause to treat the yeast infection, then resume the antibiotics again immediately. I took my last round of antibiotics some time in 2009 or 2010 - I don't know the exact date. When my health awakening occurred and I changed my diet I decided I was going to stop using antibiotics for the HS and was determined to achieve remission with diet and lifestyle changes (which I successfully did) and manage it in the meantime with holistic methods. I have spent many thousands of dollars on recovering my health since 2010. I have done so much work on my gut and digestion. I used to have IBS-D so severe that I would sometimes have bowel incontinence (yes, really) and had a long list of food sensitivities. Now I can eat pretty much everything that is "real food" (so no processed junk, industrial oils, or frankenfoods). So, given how much I have invested in my gut health so far, you can understand why I was absolutely devastated when I was told I had no choice but to take a round of antibiotics recently. This is a good time for me to remind you that I am not a healthcare practitioner and the information in this post is not to be misconstrued as medical advice. I am telling my story for informational purposes only and I strongly advise you to see a dentist immediately if you think you have a gingival abscess. Feel free to take the information from this post and present it to your qualified healthcare provider when working on your treatment plan. Here's what happened: an injury caused me to develop a gingival abscess between my back two molars on the top left of my mouth. The internet doesn't like to talk about gingival abscesses, it only likes to instill terror by talking about tooth abscesses that almost inevitably lead to root canals and extractions. But gingival abscesses can absolutely happen in a healthy mouth and be caused by trauma/injury - not periodontal disease or tooth decay. I have always had extremely healthy teeth and gums and have gone years in between cleanings only to have the hygienist tell me I must be lying since my teeth look so great and are so clean. I do have 2 fillings that were done by a random dentist when I was a teenager and I suspect they were unnecessary since my regular dentist at the time didn't think I needed them. Last year I needed the one on the bottom back molar repaired (it was cracked) and ever since then my mouth has felt "off". I think it's done something to my bite because my top back molar has shifted ever so slightly and caused a food trap to develop between those back two teeth. What is a food trap? It's one of the most f*&^#ing annoying things I've ever had to deal with, is what it is. Basically it means that no matter what you do (short of not chewing on that side) that you will get food stuck between those teeth every time you eat. And if you don't take swift action to remove it it will very quickly lead to irritation and inflammation in the gum. Well, apparently I did not take swift enough action or missed something because I woke up suddenly with that area of my gums so swollen that the gums between those teeth was at the level of the chewing surface of the teeth. The area was red and very painful. It was a Friday and I had a packed day ahead, including acupuncture, so rather than try to see the dentist that day I decided to see what Chinese medicine and all of my natural antimicrobials at home could do for a gingival abscess (I didn't know for sure if it was one of those at this point). I knew there were some dentists open on the weekend if things got really bad, but planned to wait until Monday morning so I could see mine. I hoped that it would clear up on its own before then, though. My acupuncturist told me to keep a close eye on it and used a bunch of points that help the immune system and are indicated for problems with the gums. 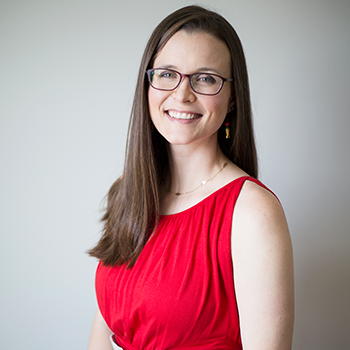 The way acupuncture works is that while there are points in the immediate local area that will help with whatever health issue you are treating, there are also going to be points on another part of your body that exert a strong influence. In the case of the gums, there is a point on the ankle that really helps. He also stuck a ton of needles in my face and jaw on that side. Yay, fun! I tried to do gingival abscess treatment at home but unfortunately it was not enough and so I would consider all of these things to be supportive methods to do in conjunction with antibiotics NOT a replacement for antibiotics. Again, please go to your dentist for prescription antibiotics if you think you have a gingival abscess! Oil pulling has been shown to be just as effective as conventional treatments for reducing plaque and gingival index (gum swelling/inflammation) in people with gingivitis (source). I personally cannot stand using coconut oil to oil pull and in traditional ayurvedic medicine (that's where oil pulling comes from) you are supposed to use sesame oil, so I use a cold-pressed organic sesame oil to do it. Oil pulling can be wonderful for keeping your teeth and gums healthy and a great part of a regular oral health routine. 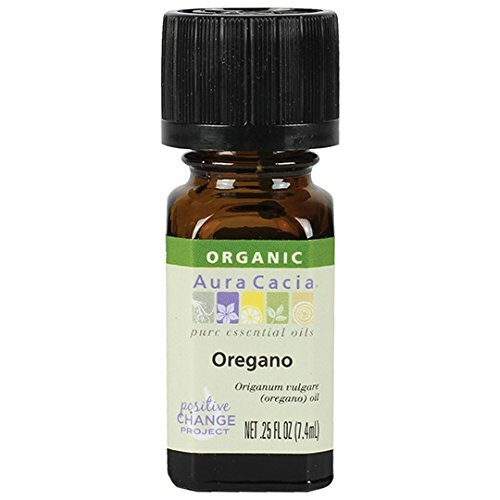 I added 2-3 drops each of these essential oils for the gingival abscess: clove, cinnamon bark, tea tree, and oregano. Here's how to do oil pulling: I like to measure a scant tablespoon of oil then drop the oils in (which you can omit when your mouth is in good health) and set a timer for 20 minutes. All you do is slowly swish the oil around in your mouth. It is quite a workout for your facial muscles and you may have to work up to being able to do it for 15-20 mins at a time. When you're done, spit it out into the trash (not down the drain). When I was doing oil pulling for the gingival abscess, I would do it first thing upon waking (the optimal time to do it according to ayurveda) and again just before bed. If you shower first thing in the morning, it can work well to do oil pulling while you are getting clean. Just don't forget that you won't be able to breath through your mouth! The above quote is from a 2015 paper studying the safety and efficacy of topical colloidal silver to disrupt Staph biofilms in the nasal passages of sheep (as a precursor to using it in humans). 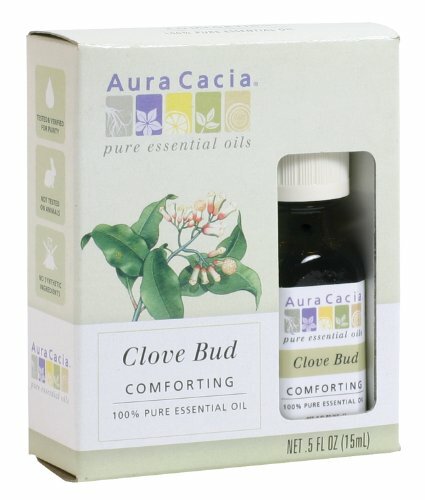 There is controversy about using colloidal silver due to cases of argyria (turning blue) documented from (generally excessive) internal use of colloidal silver, but I am personally not concerned about using it topically as an antimicrobial in the case of infection. I wouldn't swallow it in large doses to use systemically based on what I have read in the literature. Use your own best judgement, though. The way I used colloidal silver to treat a gingival abscess was to spray 1-2 pumps directly onto the affected gum tissue up to 5 times per day. 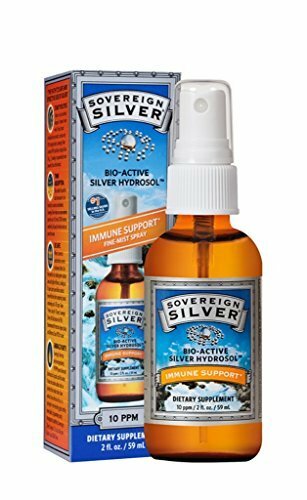 I like the Sovereign Silver brand and it is available at many health food stores as well as online. There are many more in pub med - you can browse the references of the 3 articles I've linked to here if you're curious! So anyway, I felt confident about using bee propolis on my gums given the scientific evidence to support it. I couldn't find a good bee propolis product locally and didn't want to wait for something to arrive from online, so I bought this Herbal Mouth Tonic, which is a blend of antimicrobial herbs and bee propolis. I applied it twice a day per label instructions to address my gingival abscess. This spray which is a blend of Manuka honey and propolis is something I wished I had been able to find locally! My husband and I have both used the Waterpik Freedom for daily oral hygiene since 2017. We love it for its small footprint (no giant separate tank taking up the whole bathroom sink), the fact that it is waterproof so you can use it in the shower, and because it is easy to travel with. The reservoir is a touch small and the batteries do run out kinda quickly, but it's non-issue since we use rechargeable batteries for it. I normally just use water but while I had the gingival abscess I added either hydrogen peroxide (diluted with an equal amount of water) OR used my normal herbal mouthwash and diluted it. 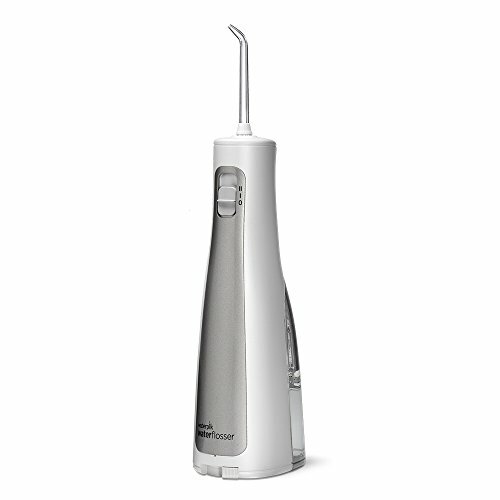 I used the Waterpik after every meal while I had a gingival abscess. Gingival abscesses are basically boils, and I have extensive experience using turmeric to help hidradenitis suppurativa boils heal, so I decided to do that on my gums, too. 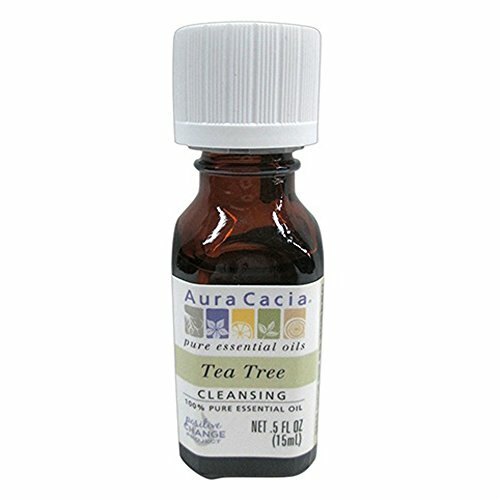 I would soak a cotton ball with water, or for an extra boost I would use colloidal silver, then sprinkle organic powdered turmeric (yes, the spice!) on top then wedge it up in between my gums and cheek and leave it there for at least a half hour. I did this 2-3x a day while I had the gingival abscess. Some people say to do this with a potato peel, but I didn't do that. You'll find a lot of folks on internet forums singing the praises of potato peels, though! This is something dentists will even tell you to do. I put about 1/4 tsp unrefined salt in about 1/2 cup of warm water (I use reverse osmosis water and I heated it on the stovetop) and would use it all up over the course of 5-10 mins or so and several different swishes/gargles while I had a gingival abscess. It's soothing and antimicrobial. Quite an impressive and extensive list of uses! Wow! 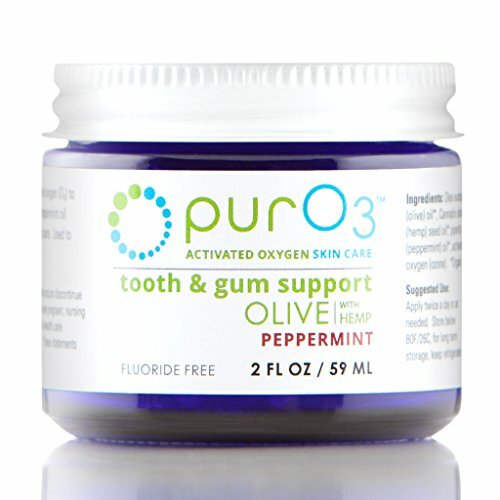 I ordered PurO3 Tooth & Gum Support the day I woke up with the inflammation that turned into a gingival abscess. I am lucky that I called them instead of just ordering on Amazon. I called to see if they could find anywhere local that I could purchase it, and once I had them on the phone they let me know that they will apply a coupon to your order if you opt to shop with them directly instead of Amazon - so I got a deal! I am really quite blown away by this product. It smells and tastes very....odd. But it's nothing compared to some of the Chinese herbs I've taken before, ha! It does have an analgesic effect and every time I apply it just feels very nourishing. I know that's not very scientific. My gums feel firmer and healthier after every application. Also worth noting: I saw my dentist exactly 1 week after he diagnosed the abscess and prescribed the antibiotics. He and his hygienist were both shocked at how healthy my gums were. He said he expected me to need more than one round of antibiotics to clear it up. I credit the ozonated oil for playing a big role in helping things heal up much quicker than expected. Part of me wonders if I would have been able to avoid antibiotics had I started the ozone treatment immediately - I'll never know! Look, y'all know I am skeptical of Western medicine in general, but I am also not one of those people who is going to be foolish by refusing a treatment that clearly has benefits. I knew that a gingival abscess can lead to a tooth abscess if the infection isn't cleared out properly. I knew that my holistic protocol might not be enough. Here's how it progressed for me: on Saturday I woke up and it had come to a head and looked like a boil. I knew that it was an abscess then. Interestingly the gum swelling had gone down a LOT around the boil and it also hurt less. Sunday the abscess ruptured with a little pus and blood (sorry, gross I know) and the swelling went down even more and so did the pain. Monday it was even less swollen and less painful but I knew I needed to have it checked out. I see a dentist now that is trained by Dr. Tom McGuire on mercury-free dentistry and safe amalgam removal. I would say he is in between a conventional dentist and biological dentist. He is open minded about holistic alternatives and understands my story and concerns. He confirmed that my teeth and gums are all beautiful except in this one area and thought for sure there must have been something still stuck under the gums for it to be infected, but they probed and prodded and found nothing. He impressed upon me that I was at risk of losing the tooth if the infection wasn't cleared out quickly, since it could progress down the tooth to the root and develop into a tooth abscess. So he put me on a Z-Pack (azithromycin). I felt like an time traveler from the distant past since it has been almost 10 years since I have used a pharmacy for anything. How do I know which pharmacy my insurance will let me use? How do I find the best price? Can I read the ingredients to make sure the antibiotic is gluten-free? (you should have seen the pharmacy tech's face when I asked that, and asked what their protocol is for Celiac patients). As much as I hated to unleash a nuclear attack on my beneficial bacteria with a round of antibiotics, I filled the prescription. A Z-pack is only a 5 day course of antibiotics, and I am so glad it was such a short course because it made me feel really yucky to take. The first doze of azithromycin is 2 tablets for a dosage of 500 mg, with the remaining 4 doses being just 1 250mg tablet each. That first dose made me nauseated and I almost tossed my cookies, but meditation and yogic breathing got me through that wave of nausea. I also felt very heavy, low energy, and TIRED. I took the first dose at about 8pm and after a meal and I went to bed early and slept for about 12 hours. My face also got puffy and my lips were slightly swollen the morning after the first dose through the course of antibiotics. I got a row of acne on my chin right next to where the Large Intestine Channel runs according to Chinese Medicine. My acupuncturist was not surprised to see that as a reaction to the antibiotics killing off my good bacteria in my large intestine! I endured extreme brain fog and lowered cognitive abilities which began the morning after the first dose. I also dealt with pretty strong fatigue that peaked on day 4. I could feel my body struggling to handle all of the toxins (like LPS) being released from all the dead bacteria - both the good guys and the bad guys who died. 8 days after the first dose (so, 3 days after finishing the course) I developed a hidradenitis suppurativa flare. It's teeny tiny, smaller than a pea, but I absolutely know it is due to the effects of the antibiotics. I got HS flares when I was on herbal antibiotics/antivirals/antiparasitics during my leaky gut healing protocol. When these microorganisms die our bodies have to process them and the junk they release when they die, and that can cause skin eruptions. I get both facial acne and HS flares. I began my antibiotic recovery protocol before I took the first dose: I started probiotics about 6 hours before I took the first dose of antibiotics. There is evidence that taking probiotics while you are on a course of antibiotics can reduce the damage done to your beneficial gut bacteria and prevent side effects likeantibiotic-associated diarrhea. This meta-analysis found that Saccharomyces boulardii (more on this beneficial yeast below), Lactobacillus rhamnosus GG, Lactobacillus acidophilus, and Lactobacillus bulgaricus each demonstrate beneficial effect and supports their use during antibiotic recovery. This randomized, double-blind, placebo controlled trial found that "consumption of a probiotic drink containing L casei, L bulgaricus, and S thermophilus can reduce the incidence of antibiotic associated diarrhoea". And this randomized, double-blind, placebo controlled trial found that "permanent changes had possibly occurred in the composition of the intestinal microflora induced by the antibiotics" and that probiotic therapy starting with the course of antibiotics prevented signs of dysbiosis that were observed in the placebo group (i.e. prevented disruption to the gut flora caused by antibiotics). I started my probiotic therapy with VSL #3 since I had it on hand. Dexter, one of my cats (and mascot for my t-shirt and art business) used to have the cat version of IBS and VSL #3 was his treatment. I also started PRO-50 mid-antibiotic course since I had to wait for it to be delivered from Amazon. It's got an impressive blend of species (including S. Boulardii and others mentioned above), uses cGMP manufacturing practices, is shelf-stable, is a respected brand, and gets top marks from Consumer Reports. It is important to take probiotics away from antibiotics so that they do not interfere with one another. In my case with a once-a-day antibiotic it was easy. I took my probiotic about 6-8 hours before each dose of azithromycin. I am going to continue these probiotics for at least 4-6 weeks after I finish the antibiotics, but perhaps longer. S. Boulardii is getting a lot of buzz lately. It is a beneficial yeast and so is not affected by antibiotics. It is well-studied as an intervention to prevent antibiotic-associated diarrhea (source 1, see also this great review article about S. Boulardii). While I was on the antibiotics I tried to diversify fermented food sources in the 4-8 hours before each dose of antibiotics. Bubbie's pickles, fresh local kombucha (on tap in a growler! ), sauerkraut, kimchi, and fermented kale powder were what I used. Note that you can get 10% off the fermented kale powder with my coupon code CURIOUS10. Glycine-rich foods not only prevent an antibiotic-induced increase in intestinal permeability (aka leaky gut) but it also supports the liver, and antibiotics do place a burden on the liver both because they must be metabolized and because the liver must deal with the toxins (lipopolysaccharides) released as bacteria (both good and bad) die. What is a great source of glycine? Gelatin and collagen! My favorite grass-fed beef collagen is Perfect Supplements because it is extremely high-quality and is also the most cost-effective per scoop. 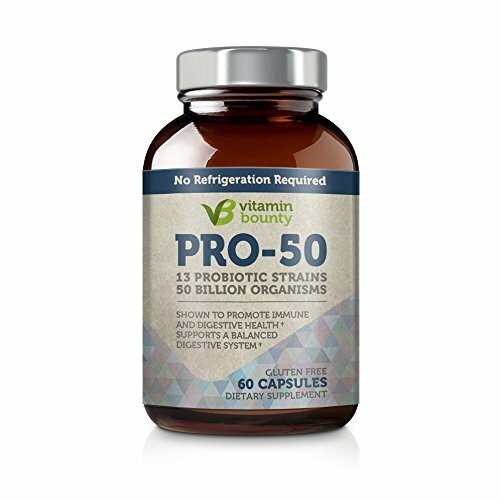 Vital Proteins is a fine brand and I have used them in the past, they are just more expensive for the same quality collagen. Use my coupon code CURIOUS10 to get 10% off Perfect Supplements collagen. I began taking 2 scoops per day when I began the antibiotics and will continue to do that for at least a month. Homemade bone broth is also a source of glycine, and it is so easy and fast to make in the Instant Pot. Here is my tutorial for bone broth that gels in the Instant Pot pressure cooker. I've been consuming broth in the form of congee or soup daily and will continue that for at least a month, too. I have been needing extra sleep each night since starting antibiotics, I'm talking 10-12 hours a night, so I have worked that into my schedule. I am also taking it easy in other ways and opting for more gentle yin and restorative yoga classes and bed rest when my body asks for it. My acupuncturist always tells me not to overextend myself, but he impressed just how important it is for me to take it easy and listen when my body says to stop and rest over the next month or so after finishing the antibiotics. My acupuncturist was not surprised when I told him I had lost my appetite and only felt like eating congee. He told me that my body is smart and that I should listen, and really load up on congee and other soups and severely minimize or eliminate things that damage the Spleen according to Chinese medicine like dairy, alcohol, raw foods, cold foods, and refined sugars. Here is my recipe for congee in the Instant Pot. I have had a constant batch of this going and will probably keep it up for a month! Following up on the last point, my doctor told me that I'll need to take several weeks, probably a month, off of Chinese herbs while I let my system recover from the nuclear bomb of antibiotics. I actually had enough body wisdom and intuition to stop them even before I began the course of antibiotics, and he told me I did the right thing. In my case, the herbs are doing deep work on very old conditions, but my body is not focused on healing fibroids and endometriosis right now - it's focused on recovering from antibiotics. So, not only will herbs put a small stress on my already overwhelmed digestive system, my body is not in a good place to be receptive to the work that the herbs do. You know how one of the arguments people make against the Paleo diet is something like this: "didn't cavemen only live to be something like 35 on average? Doesn't sound like they were very healthy!" And the accurate rebuttal to that statement is that those average lifespan numbers get skewed by 1) infant mortality and 2) cavemen dying young from things like accidents, injuries, and infections. INJURIES AND INFECTIONS. Yeah. Those are things that modern Western medicine are good at handling. And that is exactly what I needed it for in my case. I had an accidental injury that got infected and I am SO GRATEFUL that I had antibiotics to clear the infection. Because I really threw A LOT of alternative/natural/holistic treatments at the gingival abscess and it was not enough. The combination of antibiotics + all of my natural treatments for the gingival abscess helped me heal quickly and completely. This experience has reminded me that antibiotics absolutely are something to be thankful for and that when they are needed, they are needed. It's not the end of the world to need to take them as long as they are prescribed responsibly and you are proactive about mitigating the damage that they do to the good guys while they take out the bad guys. Sign up with your email address to receive new articles and recipes, updates, and special offers!